With the original Metroid debuting on the NES August 6, 1986, the series now has a 30-year long history. But while Nintendo remains unsure where to proceed with the storied franchise, one team of passionate Metroid enthusiasts took it upon himself to give the fanbase what it yearned for – atmospheric side-scrolling action! 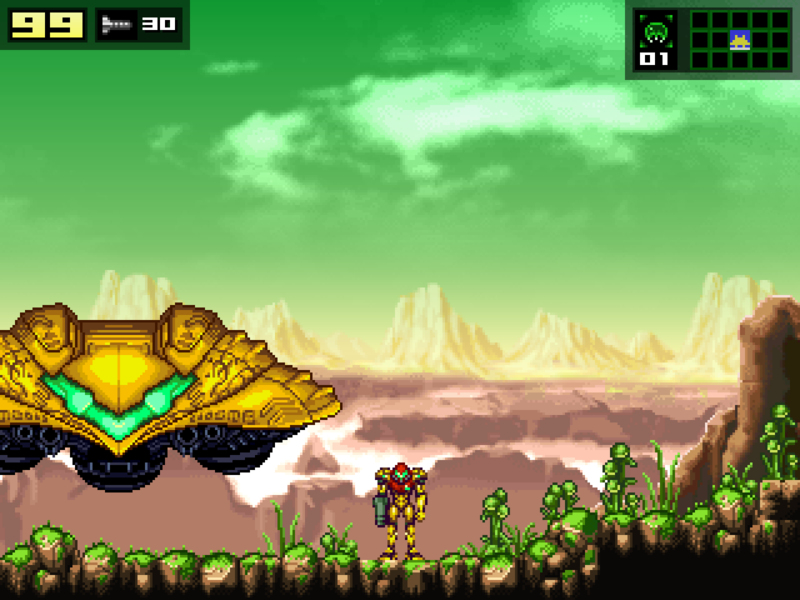 Announced to be in development since all the way back in 2006, Another Metroid 2 Remake or AM2R, is exactly what it sounds like, a modernized recreation of the 1991 Game Boy exclusive Metroid II: Return of Samus. A new coat of paint utilizing Super Metroid-style graphics isn’t the only update to this classic however, with an impressive new soundtrack, tighter, customizable controls and movement, more complex design and game layout tweaks, and even a further fleshed out narrative with log scans filled with flavour text. 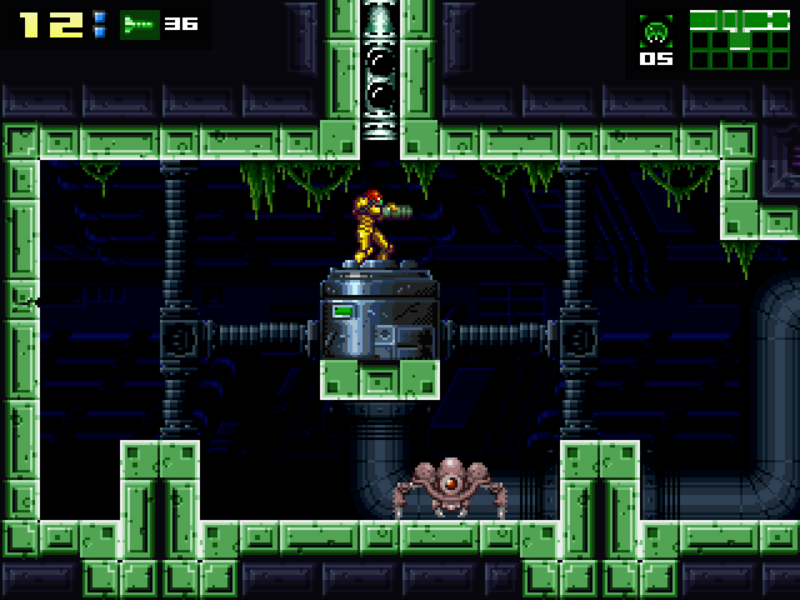 Every aspect of the rather outdated Metroid II has been refitted for modern sensibilities and the quality of AM2R effortlessly stands among the acclaimed Game Boy Advance releases, Fusion and Zero Mission. Of course Nintendo has already gone after and issued a DMCA takedown notice for the game, and they have every right to protect their intellectual properties. But it speaks volumes when the big N remains silent on one of their most renowned series’ 30th anniversary, while fans themselves have to pick up the slack for a new installment. Ignoring the infamous Other M, AM2R Is shockingly the best thing to happen to the series for almost a decade, since Metroid Prime 3’s release in 2007. And while Nintendo continues to spin its wheels with the upcoming hotly contested Metroid Prime: Blast Ball and Federation Force, the cries for a simple 2D side-scroller continue to fall on deaf ears. It’s fortunate that we Metroid fans have AM2R and the development team behind it to instill some passion back into the series (sorry F-Zero fans), but hopefully Nintendo can learn a lesson from this. Funnily enough, it seems this is may actually be one area where Nintendo can look to follow Sega’s lead in after the announcement of Sonic Mania, a retro throwback to classic Sonic the Hedgehog helmed by similar fan-game developers. Despite the takedowns, AM2R is now forever out there on that big beautiful Internet, and any Metroid fans owe it to themselves to track down a download file. With any luck, this release will make a big enough splash that Nintendo hires this team on to get some new blood pumping in the dormant series, and we can finally get excited again for official support of this unfortunately neglected series. Let’s bring back Metroid Dread!